My name Shehadeh Salamin 16, from al – Samoa. All my life, I dreamt of being a famous Palestinian footballer…until our village was introduced to cricket. The game rapidly became our flagship sport, with most kids preferring cricket over soccer! We played in mixed teams with the Israelis and I enjoyed it! We had amazing collaboration. The head coach said to me in Arabic: “Bravo, you are a great player”. I felt very proud and our next practice couldn’t come too soon. Cricket has given me a new lease of life. Now I am a more confident person with a real desire to continue improving my game. And my dreams have changed too. Today I dream of a cricket club in Palestine and of becoming the first Palestinian cricketer to play in an international league. I’m sure that with those Israeli and Palestinian children who participated with me, we can also realize the dream of peace together. When holding a cricket bat, I feel I hold the whole world. 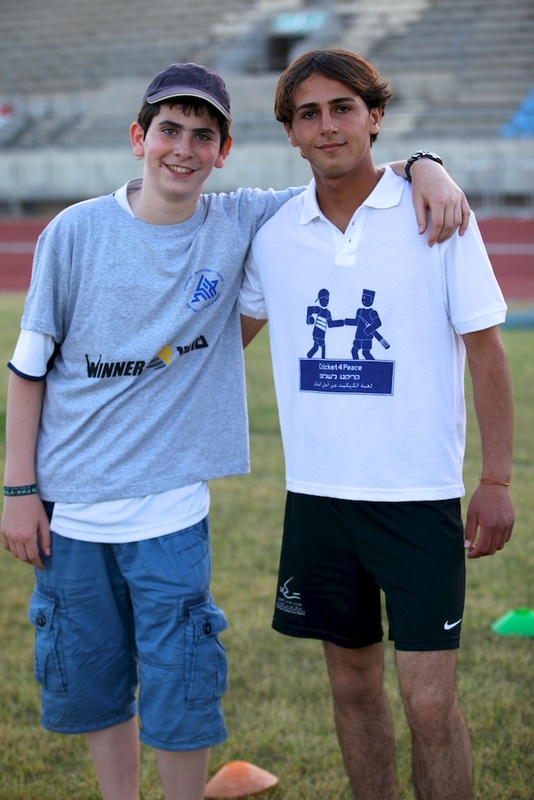 * Shehadeh Salamin is a 16 year old male participant in the “Cricket for Peace” of the Peres Center for Peace, which brings together Israeli children from Beer Sheva and Dimona, and Palestinian children from Al – Samoa and Yatta, to promote human and community relations and break the barriers between the parties. This story was translated from Arabic and was originally 800 words but we have trimmed it to the required 250.
thats me in the picture!! it was great there!! had so much fun!! That is just such a lovely story. Good Luck to all those aspiring young Cricketers. what a great story…unreal…there is still good in this world! This is the potential for peace and reconciliation if we only don’t indoctrinate our children.